The pivot is doubt for the start of the playoffs because the pain in his left knee not only has not remitted but has intensified. 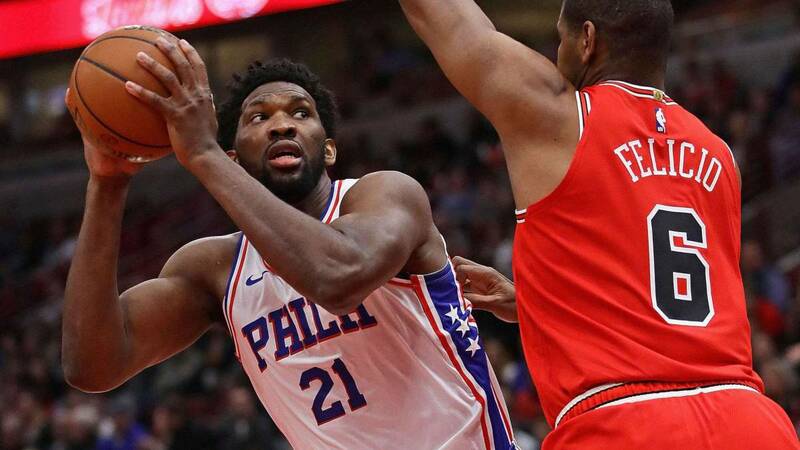 Joel Embiid missed 14 of the last 24 Sixers games in the Regular Season, including the last two. The Sixers always talked about knee discomfort but from a prism of rest and dosage of efforts facing the playoffs. The team, in short, was third in the Eastern Conference, could not reach Bucks and Raptors and had left behind without reference to Celtics and Pacers. However, the state of the Cameroonian center has begun to be more worrisome as we are approaching the first round tie against Brooklyn Nets, which will give tomorrow Saturday (20:30 Spanish time) the pistol shot of exit to the 2019 playoffs. Embiid himself has made it clear that his status for the first game is in the air when he has been asked if he will be able to play: "I have no idea" . Later more worrying news has arrived: the player has been noticing pain in that left knee from the All Star and this has gone to more in recent days. The matter is tricky, not so much for this series in the one that his team will continue being favorite (although less) but of face to the rest of some playoffs of the East, in which in theory the following rival of the Sixers would be the Raptors, already without factor favor court. Brett Brown's team changes completely with Embiid on track, in attack of course but also in defense, a facet in which it goes from being one of the best five to one of the worst five depending on whether it is on track or not the center . So we must pay close attention to the events.